Between taking my car to the track, daily driving, and going on long road trips, I eat up tires pretty fast. My tire size, 235-35-19, is also quite expensive (anywhere from $150-300 per tire), and I prefer to run an ultra high performance tire which means tires are even more expensive, and they wear even quicker. I’ve purchased several sets of used tires now, usually through Craigslist or eBay, and have had awesome results. One thing I really like about buying used tires is that you can try out several different tires, versus being stuck with one tire/tread pattern for 30k miles. 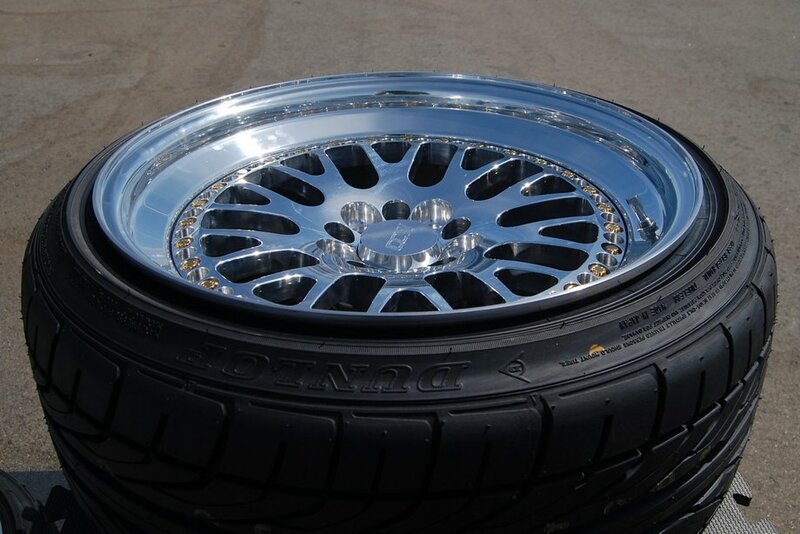 I currently have Falken FK453s that I hate, but am stuck with for a while as I paid a lot of money for them – I wish I had bought used like I normally do, but I was given a deal too good to pass up on them new. As many budget minded car enthusiasts know, buying used parts can save you a lot of money if done right, or cause a lot of headaches (and end up costing twice as much) if done wrong. Buying used, you can get a $1,000 set of tires for $200 that still have over half their life left, which ends up being a great deal for you in the long run when done right. First you should determine how much life the tires have left in them by looking at the depth of the tire tread. I recommend picking up a tire depth gauge – for as little as $5, it’s a tool that is well worth the cost if you’re going to buy used tires. Typically, a new tire has between 10-12/32″ of tread depth. Using a gauge you can determine EXACTLY how much is left, which can help you decide if you should buy the tires and how much you should offer. I wouldn’t recommend buying anything under 4/32nds of tread – 4/32nds is the minimum that dealerships require to trade-in your vehicle, anything less they determine too worn and will make you replace the tires first. Likewise, you’ll typically pay between $80-120 to get the tires mounted, balanced and installed, so why waste that money on installation when the tires are going to be bald very soon? Use your tire depth gauge to figure out how much life is left, and use that as the basis for your offer (50% of tread left means pay no more than 50% of original retail price). Next, it is important to check the age of the tire – even if tires have plenty of life left, if they’re really old, it’s a bad buy. Old tires crack and will eventually blow out. According to TireRack.com, most governments & automotive associations recommend replacing your tires every 5-6 years, regardless of how much tread is left. You can check the age of a tire based on the writing on the side of the tire. This article on Tire Rack explains how to figure out the age of a tire. Knowing how much tread is left, you can calculate approximately how long of a life the tire has remaining based on its age, remaining tread depth and your driving habits. All of this can be used to haggle down the price, or just to determine if you should buy the tire or not in the first place. Once you’ve determined the remaining tread & age, look over the tires thoroughly for any defects. Don’t buy any tires with bubbles in the sidewalls – they’re prone to blow out at any moment and without warning. Likewise if you see patches on the tires (usually visible from the inside of the tire) that’s a sign the tire might not hold air or could have issues. Also look for any missing chunks, dings, holes or anything out of the ordinary. Since you have to pay to get the tires installed, it’s a big risk that one tire might not work out – if you’re going to buy a tire that looks like it has been repaired or might have a defect, either try to get a warranty from the seller or offer them very little (if nothing) for the tire because of it. The Uniform Tire Quality Grade Standards (UTQG) rating, often called the Treadwear Rating, is another important aspect to look at. The lower the number, the softer the tire and the quicker it will wear out. Most race cars use a UTQG of less than 100. The most economical, long lasting tires are around 450-600 UTQG. If you’re looking at a tire with a UTQC under 200, expect it to wear quickly. It will have tons of grip and be a very high performance tire, but that performance comes at the cost of durability. Anything between 200-400 is a relatively high performance tire that will last a normal lifespan. Anything 450-600 should last a very long time, all things considered equal, and be a great choice for durability, but likely at the cost of performance. It’s hard to say what the normal lifespan of a tire should be, given how many factors come in to play, ranging from the tire specs to your driving style and even the type of car you have. Estimates typically range from 25,000-50,000 miles for brand new tires. The UTQG rating is a large part of determining how fast they’ll wear and how many miles you can get out of the tires. It is important to note; however, that this number is somewhat subjective and set by the manufacturer. There is no formalized standard for this number, so when comparing brands, these numbers are not always apples to apples. Read online reviews to gain better insights into how soft or hard the compound is. Research the tires you’re going to get – what do they retail for? Do they have good reviews? I like to use TireRack.com to research tires as they have tons of information, reviews, etc. They also have really competitive prices. Depending on the tire, you might just end up buying them new depending on how much the used tire seller wants. Look for uneven wear on the tires – if the previous car has a bad alignment, the inner edge could be worn out while the outer edge looks just fine. This is bad and the tires will have a much shorter life and continue to wear unevenly, even if your car is aligned properly. Avoid anything with uneven tread wear. Now that you know all of the above information, and you’ve decided you want to buy the tires, it’s time to haggle. Typically, the people who sell used tires have a lot of them – they usually work for a tire store, or an auto repair store, and they get the tires for free off of customer vehicles who are either upgrading their tires or going to a new set of aftermarket wheels that need a different tire size. Not only do the sellers get them for free, but they charge their previous owner a recycling fee! It’s a great side business selling used tires, and the sellers typically know a lot about what they’re selling as they typically work in the business. As with buying anything, always be prepared to walk away from the deal if they don’t budge. Used tires don’t sell quick, and typically the people selling them have an abundance of them and would just like to get rid of them. If you walk away, chances are they’ll come down in price. Wait to negotiate until you’re in person, if possible. When you’re there, cash in hand, they know you are a serious buyer and will want to make a sale if they can. Once you’re in person you can also assess the quality & condition of the tires, which are your biggest bargaining chips. List out all of your observations about the tire, noting any and all downsides. A good offer would sound something like this: Based on the fact the tire only has 6/32nds of tread left, it’s 3 years old, and that the tire is only $120 each when new, I think an appropriate price is $40 per tire. For the 19″ tires I’ve purchased, the most I’ve paid is $60 per tire, and that was for Michelin Pilot Sport PS2s that were $330 each retail, and had plenty of tread left (about 7/32nds). More commonly I see an asking price of $50 per tire for 19″ used tires. The cheapest I’ve purchased a tire was $25 for a Falken Tire that was approximately $160 new. 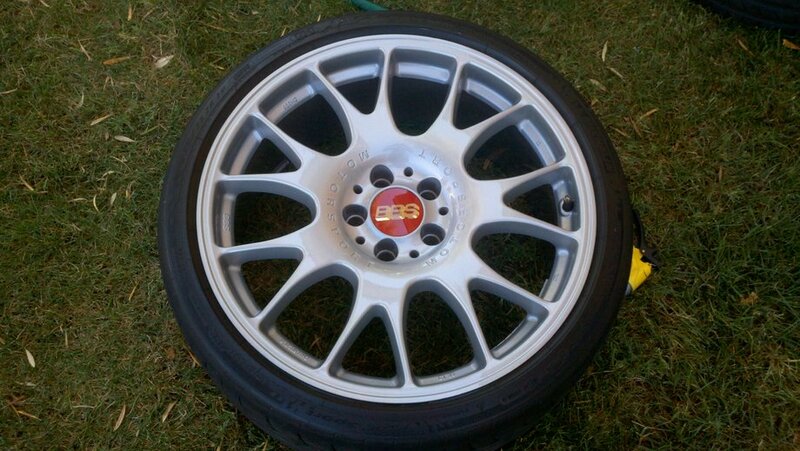 Look at Craigslist & eBay and see what similiar used tires are going for, and use that to your advantage. If your seller thinks the tires are worth too much, walk away – there will be better deals to be found, and the seller may come to their senses after no one buys them for a long time, and reprice the tires more appropriately. I’ve worked at Discount Tire now for two years, so I know a thing or two about tires. I’m not surprised you’re not happy with the falkens, and if you are open to suggestions you should try the BFG G-Force KDW NT’s. Hey Nick, you mentioned that you would usually purchase used tires and I was wondering if it would be worth it in the long run as far as the life of the tire is concerned. Would it not be more worth it to buy brand new tires and use them for all of their life? Or are you saying that it would be cheaper in the long run to continue to buy used tires (which wear out faster) and have to pay to get them mounted and balanced every time? That’s a fair question. The used tire place I frequented back in Phoenix would sell a set of used tires for $200 installed (mounted, balanced, etc.). A new set would cost between $900-1200 depending on the brand. So I could get 3-5 sets of used tires for that price, and usually the tires I got used had >50 of their life left. So from a purely economic standpoint, I think it works out, but it is more hassle as you have to replace tires more frequently. What I like best about going the used route is that you can try different tires out and see what you like best – I had some Bridgestone Potenzas I got used and I HATED them…they were super loud, had a very rough ride, they handled decent but not at all worth the ride quality…so I ditched em for something else, no sweat. Had I bought them new, I would have been stuck or needed to take a huge loss on them. But to each their own – buying new is good because you can get a warranty on them, you won’t have to worry about replacing them anytime soon, and you don’t have to worry if the tire is too old and losing performance abilities. Thank you for sharing this post! Very helpful tips to those who wants to buy used tires so they could save. A few things to add…. each tire has a slightly different tread depth when new. Be sure to find a new one and measure it so you can determine the orginal depth. Then, do the math for % wear based on 2/32 (worn out) rather than 0/32. This will give you an accurate measure of how much tread you have. Also, always check the inside of the tire for any rings of wear that indicate running flat, which can ruin a tire. Absolutely Ken. I just got a used set of wheels that came with used tires and man the previous owner needed an alignment bad! The tires ended up being trash. I still highly recommend a tire depth gauge to anyone considering used tires – they’re only a few bucks then you can measure exactly how much tread is left on each tire, as well as measuring from inner and outer grooves to see if any uneven wear. Thank you Nick. This is really helpful. Very useful tips to those who wants to buy used tires so they could save. Thank you for this info! This is one that I listened to my Dad about. In high school I thought about getting used tires for my Mustang but my Dad convinced me that it’s not worth the risk. It is something that I to this day would never consider. My suggestion: get a set of tires that have a slightly lower rating that are new. Simple fix. Hey Nick or anyone else….seeing that you know a lot about Audi’s, and you are unbiased, what can you tell me about the 2006 A6 Avant Quattro Wagon 3.2? I have had one since 2010, and have had to spend a ton of money to maintain it….engine leaks especially…..it now has about 130,000 miles…..and at the moment it is running well….but I always fear more costly repairs…. Hi John – they can be hit or miss, but the higher mileage you go the more things tend to go south. If it’s in a good condition, it might be time to let her go if you’re tired of dealing with maintenance. Hi Nick I am looking for tires 2 for my Hundai 2016 Elantra . a coworker introduce me to your Blog . I need your help . The original tires are Hancock does it Matter I’m shopping for # p195-65R-1589T need your Help Thanks Nadine what’s your suggestion? Hi Duhaney – you can mix and match different brands, it’s definitely not ideal but if you’re just looking for something cheap and don’t really care about performance then it should be fine. Make sure they are the same size, and have about the same tread depth if you can, and ideally find something with a similar tread pattern and treadwear rating so that they wear evenly. Does the size have to match exactly. I get that the radius does, but what about the other numbers? I’m looking for winter tires for an old minivan that I hope to only own two more winters. Yeah, the sizes should all match or it will be difficult in the drivetrain. You can get away with maybe a little more width (the first number) by about 10-20mm but that’s about it. thanks for posting a detailed list of what to check for. I’m looking for used tires to get passed state inspection next month and winter driving. I bought one if those gage’s but didn’t know how to actually use it. I wrote down your checklist so I can take it with me before i commit to the purchase. suppose to be meeting up with a seller this evening so needed all this info right now. thanks again! It was a place called Tire Dawgs, located near the airport. This is some information about buying tires. It is good to know that it would be smart to consider if you want to buy used or new tires. That does seem like a good thing to be aware when you want them to last a long time.